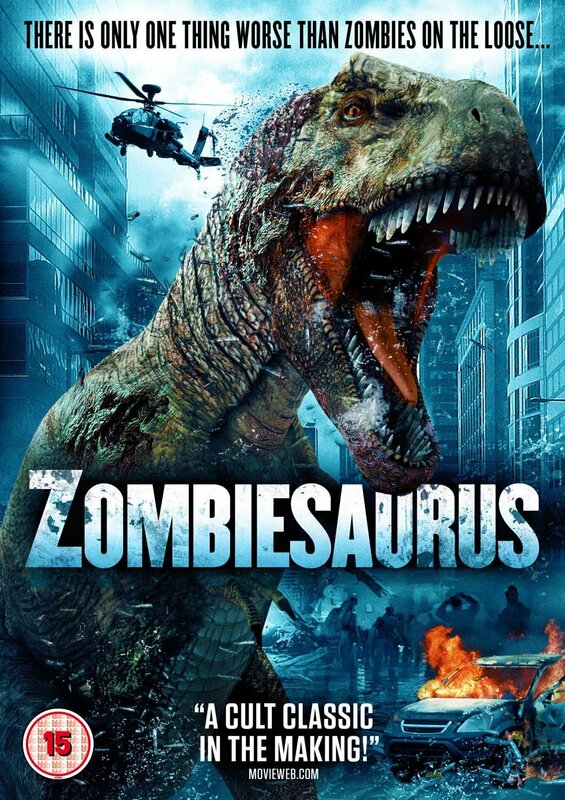 From the director of the very questionable snorefest Tsunambee comes the equally dodgy but absolutely hilarious Zombiesaurus!!!! An evil scientist tries to take over America by master minding an EMP asteroid attack which takes out all electronic devices. Stranded in the desert by the attack 2 separate groups of people take refuge in what appears to be the scientists underground laboratory (coincidence? I think not), one group is a team of rogue GI Joes and the other being the typical goofy bunch of millennial's who have to team up together to try and escape the lab with their lives. The scientist Dr. Borge has also created a gas that turns those that inhale it into a rage fuelled, glowing green eyed zombie and if that wasn't enough has devised a vaccine that reanimates the dead and has resurrected a dinosaur which is also prowling the corridors of the lab. As expected the acting is bad (really bad! ), the CGI green screen stuff is absolutely awful and the soundtrack is loud and in your face but I loved it!! It is really entertaining and so much fun! But because of all these downsides I cannot give it more then 2 stars. The Z Rex itself is pretty awesome but kind of smaller then I expected. 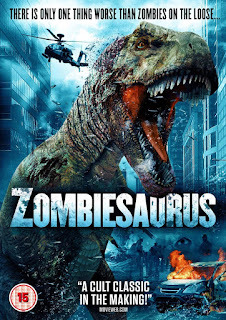 It is seriously cool though, not only is it a T. Rex its a zombie T. Rex, cue many attempts at killing it (one being to have a fist fight with it?!) none of which succeed!!!! So many cringeworthy but hilarious moments. The human zombies are a little disappointing as there are too few of them and they just seem to have glowy eyes yet can still talk but I have seen worse so I can't moan too much. Its a definite pizza and beer movie as it is so bad its good. Those of you that enjoy 3 Headed Shark Attack or Piranhaconda etc will surely find this entertaining! !